Jaguar electric boat has broken a speed record reaching speeds of 88.62 miles per hour across eight miles of the England’s Coniston Water. The Jaguar Vector V20E was designed and constructed in a joint partnership between Jaguar Vector and Jaguar Racing’s partner Williams Advanced Engineering. “Thank you to the whole team and our technical partner Williams Advanced Engineering for successfully transferring the technology we are using in Formula E with Panasonic Jaguar Racing from racecar to power boat,” says Mark Cameron Director of Experiential Marketing, Jaguar Land Rover. 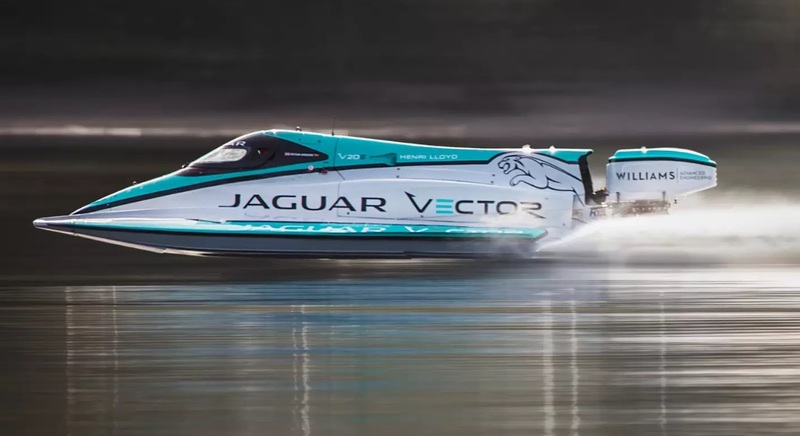 We would like to add that Peter Dredge, the co-founder of Jaguar Vector, piloted the boat, succeeding to break the previous record of 76.8 mph set ten years ago.